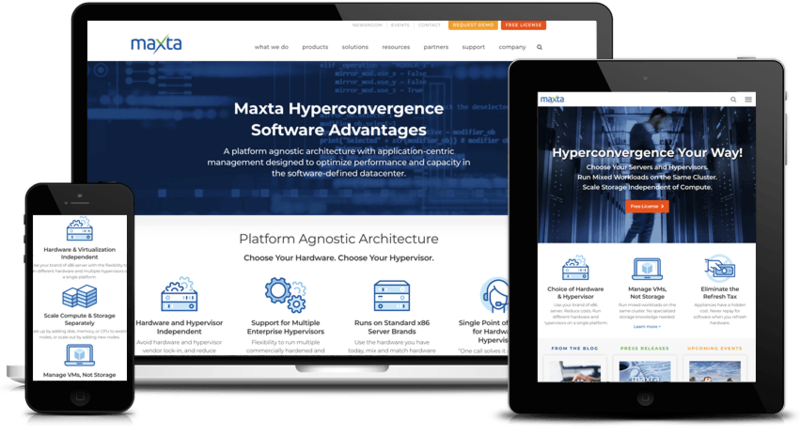 Website redesign for California-based Maxta, providers of hyperconverged software solutions for managing servers and hypervisors. The site was created with long-time collaborators Liquidbook utilizing the WordPress platform and a custom theme developed just for this project. DBD also created many of the custom illustrations and icons on the new site, based on a selection of stock illustrations. “The team did a great job implementing a complete refresh of our website and helped me build clear, compelling pages for our content. Our website looks 1,000 percent better, and is much easier for me to update.” – David Friedlander, Maxta, Inc.